Ask any professional writer (defined as someone who takes up the particular art-form of penning his or her thoughts to paper – for either purely subjective reasons, or for appeasing those same old, existential sentinels-of-livelihood called ‘expenses’ that plague the entire species) about how one might become adept at the craft, and you’ll meet with a variety of vague and undeniably frustrating responses. One enthusiast might claim that the skill is inherent – a product of some non-corporeal muse which mysteriously attaches itself to the writer’s conscience, and possesses the said agent’s ‘medium’ in an attempt to bring certain non-empirical truths from the unseen into the mundane world. Indeed, this was certainly the view of certain classical Greek philosophers who continued to disseminate their ideas well into antiquity; and even beyond that wily civilizational epoch. Another ‘wielder of the pen’ might opine (again with reference to a Platonic ideal – but from a completely different position on the spectrum) that writing is a virtue; one which is not an offering of a marked birth, but a trait that is developed only through repeated exercise in a manner akin to attaining proficiency at any occupation. The great influx of writing-specific websites nowadays has undeniably advanced the discussion on the subject by postulating a kaleidoscopic array of theories ranging from research work done on artists’ hidden neuroses to writers’ propensity for playing with the lexicon as a plain manifestation of their deeply-rooted hubris (if nothing else concrete). Perhaps the answer is not meant to be simple, or revelatory in the rigid sense that we are used to perceiving sociological phenomena in this post-enlightenment age. It may be the case with writing, and by extension with any other creative vocation, that the interplay of an individual’s subjective self with his or her environmental dynamics (and the immediate discursive field that is always effective on attuned sensitivities) constitutes the body-content of inspiration that forces the artist to divulge it – through the tools (like a quill, typewriter, needle, paint brush, and whatever else have you!) thought to be best-expressive for the cathartic function. 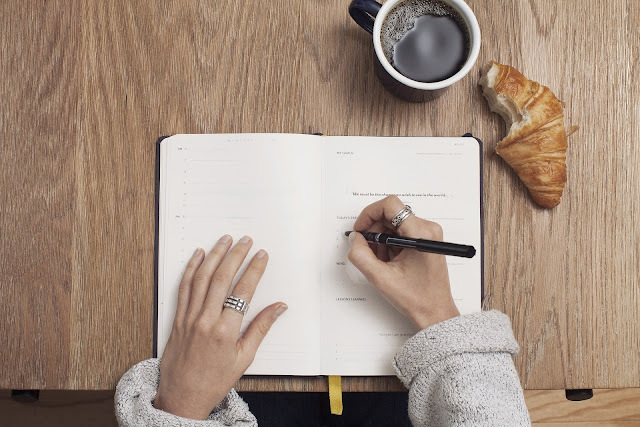 Compiled below is a briefly-elaborated list of 10 good practices that any beginner writer may choose to adhere to, as he/she decides to take that perennially-intimidating first ‘plunge’ into the field. These are condensed summations of some extensive research work done on the topic through COX Internet and are ONLY meant to be taken as guides (since every penman must eventually develop a unique writing style and crafting methodology – in order to attain any semblance of a ‘success’ in the competitive venture). The advice ‘to read…and then read some more (with a passion)’ is perhaps the most extensively touted prescription offered by writing practitioners to those who show an interest in joining their ranks. And no one (in their right mind that is…) can declaim the advice as not being sound. Through binging-up on the written works of others (particularly the critically-acclaimed classical authors of prose and verse), potential followers-in-their-wake learn how to compose intelligible and expressive sentences in a manner that is both subliminally transformative and noticeable. Beginners are made aware of the rhythmic cadence (lyrical quality) of certain word combinations, and the varying impact different permutations of these have on a reader-audience. But most importantly, new writers learn how to distinguish between high and low forms of literature (the distinction used by literary critics to decide which works warrant their entry into the hallowed ‘Canon’ of reputable material, and which not), as well as the varieties which prove to be more conducive to purely economics- based undertakings. The realization that reading definitely enhances the working vocabularies of book friends committed to the practice, across the board, also helps – and this fact cannot be overstated enough! Nothing makes a writer more prone to delivering elegantly crafted sentences than repeated practice. This is a truism which every artisan acknowledges; whatever particular line his or her vocation might take. Though the aphorism that ‘practice makes perfect’ cannot, with any decency of the intellect, be regarded as anything more than an elusive and exaggerated conception (since perfection – if it is ever attainable at all by a human animal – begets redundancy, and thereafter failure), it does indeed point a beginner in the right direction. Nowadays, a lot of grammar-check online platforms provide practice space to amateur writers to ‘shoot’ their wares freely. As already alluded to above, it is important for all writers to discover and develop their unique writing styles. These ‘styles’ constitute a worded personification of their intrinsic subjectivities, and cannot be imitated successfully by others (since coming a literary critic is not an easy task – in any respect). It is this innovatory quality of every writer’s work that gets him/her heard amidst the rioting havoc of uninspired, everyday scribbling. For a writer, being fearful of committing mistakes (and shunning experimentation by default) is a gravely erroneous undertaking. By taking risks willingly, writers broaden the scope of their penmanship potentials – and often end up discovering new writing techniques that become permanent fixtures in their creative arsenals. This point links up with all the previous ones. Once a writer has become a novice in the field, he/she should stick to a genre that is found to be naturally appealing. Certain compositions (particularly for novelists and short-story writers) may curiously hold a greater bond of affinity for one writer, and not for another. It is therefore wise to identify the writing domain one is good at and to then make ever-greater strides - with an aim of pushing its frontiers further. Even on their very best days (and in whatever line of work you can think of), everyone is susceptible to the very human scourge of making mistakes. These can take the form of failing to meet important deadlines, or being unable to meet the ‘standards of excellence’ one has set for him or herself (or put externally). In the event of not being able to do justice to your writing assignment, be critical of the reasons that led you to come to this standoff. But do yourself a favor, and don’t wound your fragile ego too much. A healthy amount of narcissism often works wonders for one’s creativity (a pro tip)! Sometimes (if not on most occasions), it is better to find an experienced professional to critically judge the standardized credibility of your work – and to surmise about its strengths and weaknesses. This is particularly helpful when you’re engaged with academic writing assignments, or even composing manuscripts headed for the publishing desk. The advice rendered by a notable mentor can prove priceless in terms of saving both costs and time, as well as the sanity of the overburdened writing agent. Using COX Communications Internet Plans, you can employ the services of several online editors willing to go over your written drafts in exchange for a few bucks. No one wants to read redundant phrases, clichés copied and rephrased endlessly, or old-fangled plots twisted anew into contemporary settings. These are some of the unspoken, but widely understood-by-all, rules of this ‘game’. Don’t make undue use of contractions or prepositions in order to satisfy the word-count requirements of a particular draft. Ensure that whatever comes forth from your fingers onto the page is of substance, and flows with a resounding introspection-inducing flair. And never the teleological end (goal) of any writing-based commission that eventually ends up in the spotlight. So if you’re a budding writer, clear your mindset of the delusions of fame and grandeur – and allow your own ‘voice’ to flow through you untainted. Besides, no one wants that kind of pressure to contend with; when dealing with the intricate works of any art that require both sensitivity and an uncorrupted spontaneity in composition. Lastly, and once you achieve a certain level of writing prowess to comfortably set you off into the arena, broaden your horizons ever-further by immersing into the works of others from completely different professional fields. An artist owing allegiance to the humanities might make for an unlikely coupling with a physicist (let’s say); but in actual fact, both visionaries can greatly benefit by sharing in on the diverse perspectives of each other, and can better the prospects for their own disciplines too. Although this guide is not exhaustive by any means, it will still serve as a useful manual for beginners wanting to set their writing trajectories alright from the very outset – and may even help experienced authors get over any unexplainable and disorienting ‘blocks’ that they may have encountered on their respective writing journeys.